Marvelous Europe have announced that the latest entry into the ‘3D Brawler’ franchise SENRAN KAGURA, which is non-other-than SENRAN KAGURA Burst Re:Newal, will receive a limited Collector’s Edition release for the PlayStation 4 when it launches this Autumn. 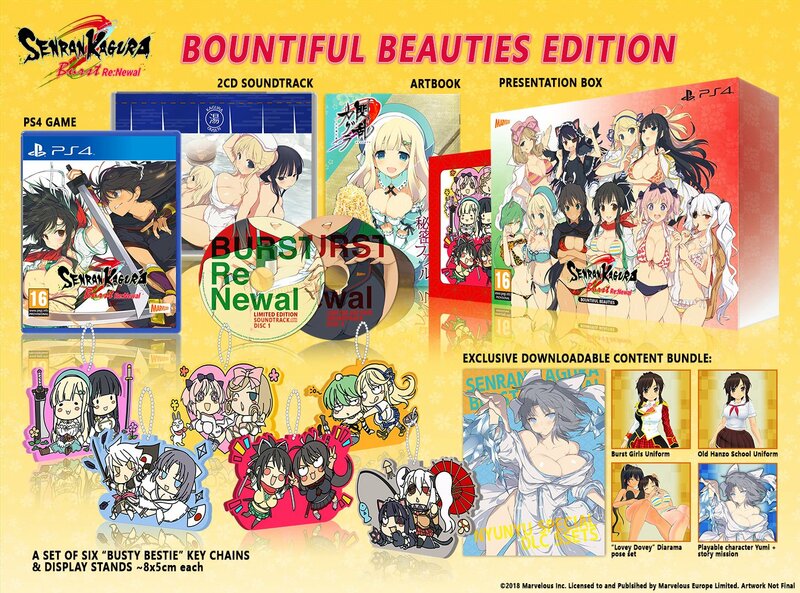 Currently available to pre-order exclusively from the Marvelous Games store, and entitled the Bountiful Beauties Edition, this European Collector’s Edition release of the game contains a wonderful selection of physical and digital content for fans of the franchise; including six keychains that can also be displayed with inclusive display stands. In addition to a physical collector’s edition Marvelous Europe went on to confirm that a deluxe digital edition will also be made available for purchase on the PlayStation Store. It’s currently not known whether this digital edition will be available for pre-order; but we do know that it will contain the following content. 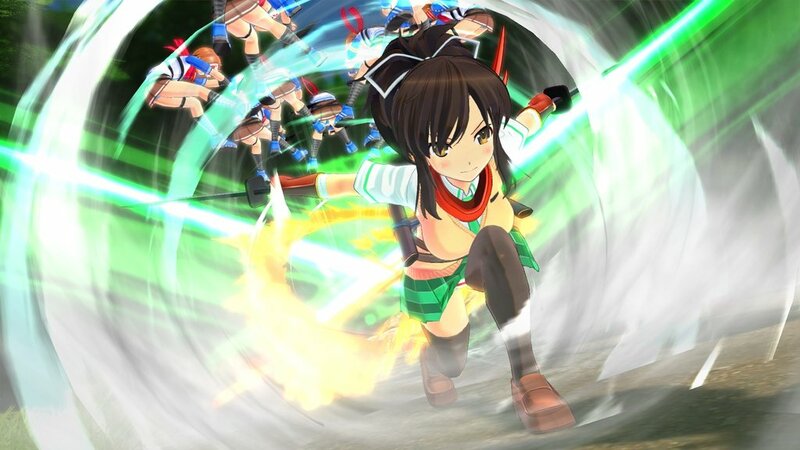 SENRAN KAGURA Burst Re:Newal is scheduled to be released onto the PlayStation 4 and Windows PC this Autumn; with exact release details to be announced.